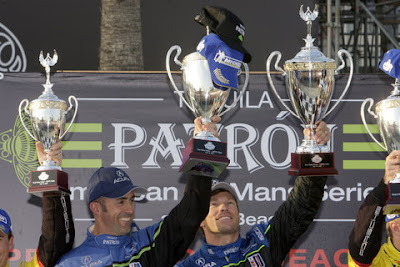 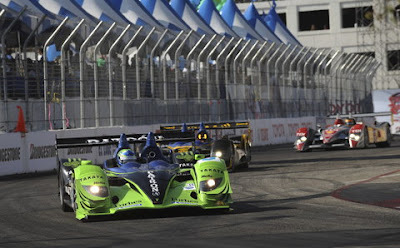 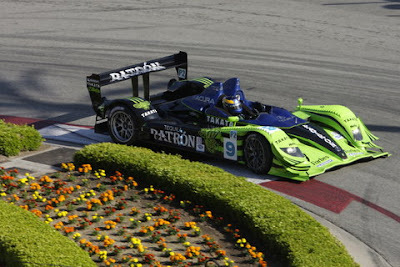 The victory was the first for the upstart Patrón Highcroft Racing team in the ALMS and the second for Acura since the manufacturer's entry in the road racing series in 2007. 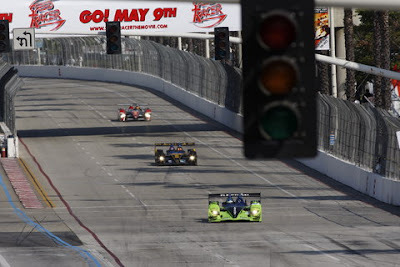 David Brabham made a spectacular pass of Romain Dumas entering Turn Eight on the 70th lap of the Tequila Patrón American Le Mans Series feature Saturday to win the highly-competitive LMP2 class on the famed streets of Long Beach. 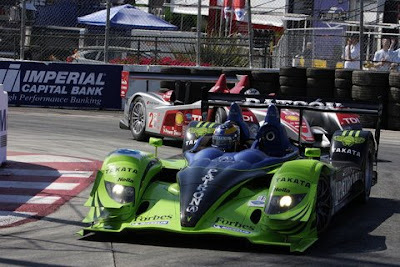 Brabham took over the No. 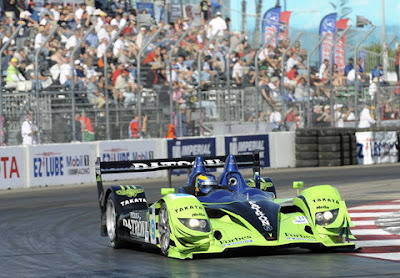 9 Patrón Highcroft Acura ARX-01b prototype sports car from his teammate, Scott Sharp, on the 46th lap and charged from fifth position to the lead on the next-to-last lap in a sensational wheel-to-wheel battle with Dumas in the Penske Porsche. 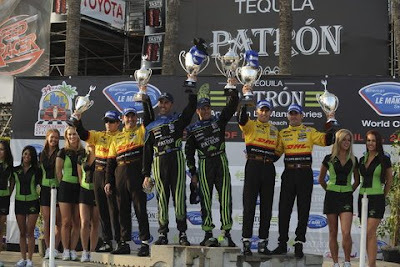 The win follows Patrón High- croft Racing's best previous finish of second at St. Petersburg two weeks ago.